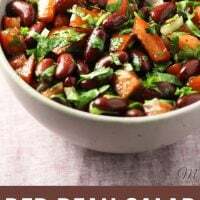 This red bean salad is very budget-friendly and super easy to make. 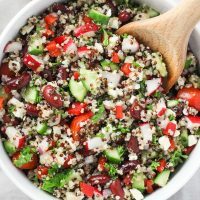 It’s high in protein and makes a great addition to meatless dishes such as veggie-grain bowls and wraps. 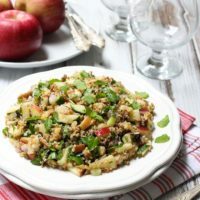 This salad is also great for a dinner party because you literally need just a few minutes to make it. 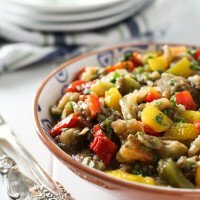 This salad is quite vinegary so it can also be served as an appetizer. 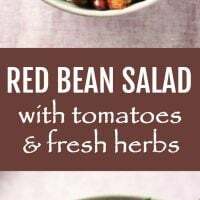 You can make this salad with any type of beans. If you love fresh herbs as much as I do, you can add more of the herbs to the salad. 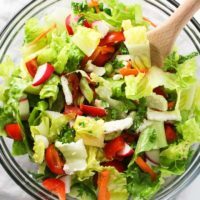 Make sure to chill the salad in the fridge for about an hour before serving to allow the flavors to blend. 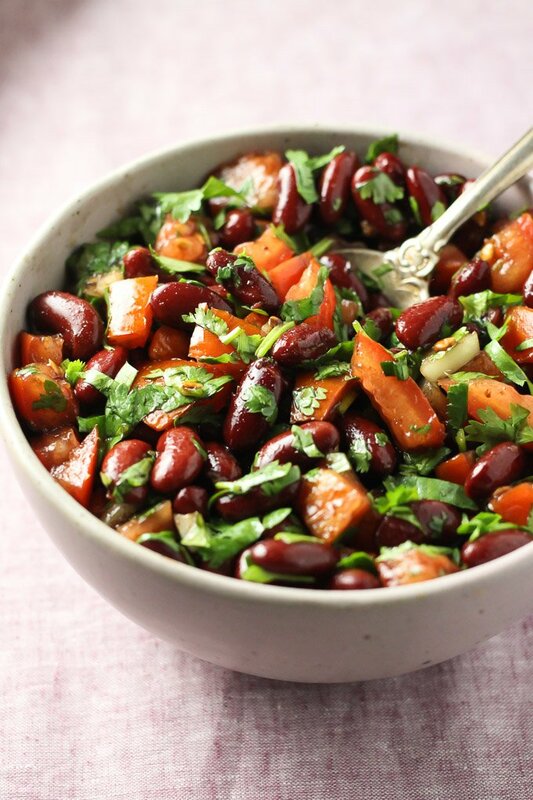 This Red Bean Salad with Tomato and Fresh Herbs also tastes great the next day. I like eating this salad with this Oven Roasted Cauliflower which I usually prepare almost every week. 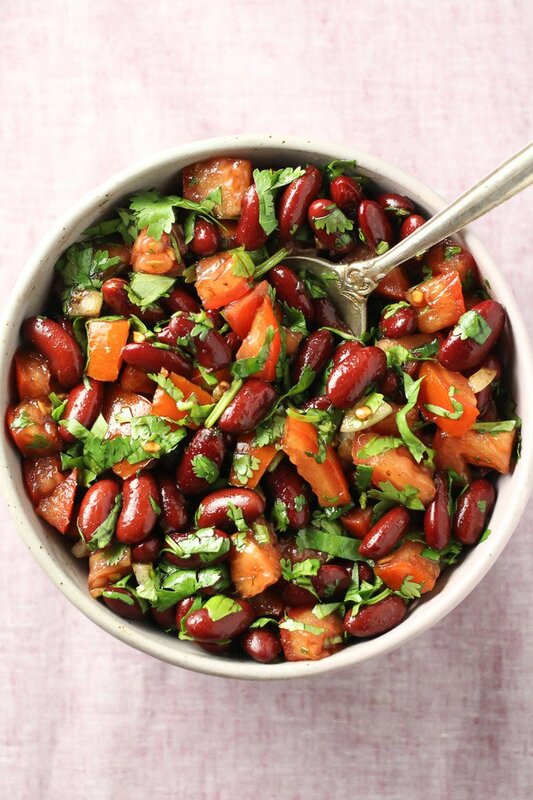 This Red Bean Salad with Tomato and Fresh Herbs is protein-packed and super budget-friendly. 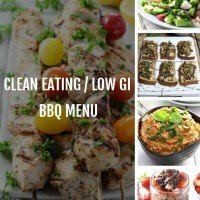 It’s very easy and quick to make and is delicious served for lunch or dinner. This salad makes a perfect addition to veggie and grain bowls. 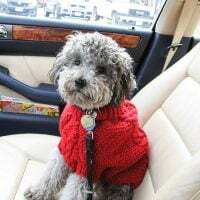 In a large bowl, combine the beans, tomatoes, onions, cilantro, and basil. 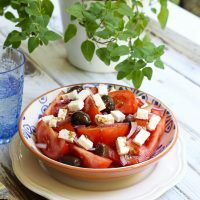 Pour balsamic vinegar and olive oil over the salad and toss well to combine. Season with salt if needed. Chill before serving. Add 3 tablespoons of balsamic vinegar if you like it more vinegary. 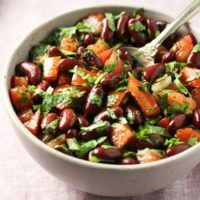 Nutrition information is a rough estimate calculated for 1 serving of the red beans salad prepared using regular (not low sodium) red beans.